Last week, we discussed an option for a proposed job guarantee for Americans living in certain impoverished areas. With the unemployment rate hovering around 4 percent, you would think everyone would be doing well in their careers. However, many are still struggling to find a single job that will allow them to support their families. The real unemployment rate is the rate that includes the underemployed and discouraged workers. Underemployed people are those who are part time workers and those who would prefer full time jobs. Then we have discouraged workers. These are the workers that have given up looking for work altogether. When these factors are included, the unemployment rate is then almost doubled at 7.8 percent. For the underemployed, one job is just not enough to cover basic living expenses. Women account for 70% of the underemployed and over half of millennials (52%) and almost a third of generation X (29%) are dealing with underemployment. Then there are some people who have jobs but are just fed up with them and quit. They quit because they feel undervalued, underestimated and marginalized and are looking for better opportunities to care for their families. Studies show that 38% of workers earning $20 or less an hour consider themselves underemployed. 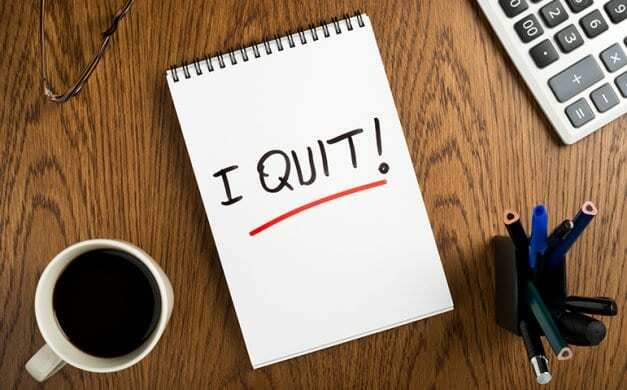 The quit rate or the rate USA employees are quitting their jobs reached its highest rate in 17 years. The quit rate is 2.4 percent when 3.56 million Americans left their jobs. People can be choosy about their jobs when they know the odds of getting a better job is higher than ever. It is great for employees when businesses are advertising 6.64 million available jobs and there are only 6.1 million people unemployed. Many employers in the agriculture and construction industry struggle to keep people on their pay rolls. The president leads us to believe that building a wall will protect jobs that many Americans refuse to work anyway. The media leads us to believe that the economy is strong, and we are all doing better than we were doing 10 years ago. We are led to believe times are better and jobs are easier to find and life for everyone is better. Yet many or most Americans are still struggling and are not earning a livable wage. No one should depend on a second job to make ends meet. We should all recognize our value and make other people recognize the value we give to our workplace and our community. The quit rate is an indication of a strong economy. With more workers feeling better about finding a better job, wage gains should soon follow. But with this president and the leadership in Congress, I doubt if anything will change for the better for the majority of Americans and particularly the minorities in America any time soon.